The Roadmaster will offer luxury touring, with unparalleled comfort, styling and performance for the open road. The flagship tourer will be launched at Rs 37 lakh, making it the most expensive Indian to be sold in India. 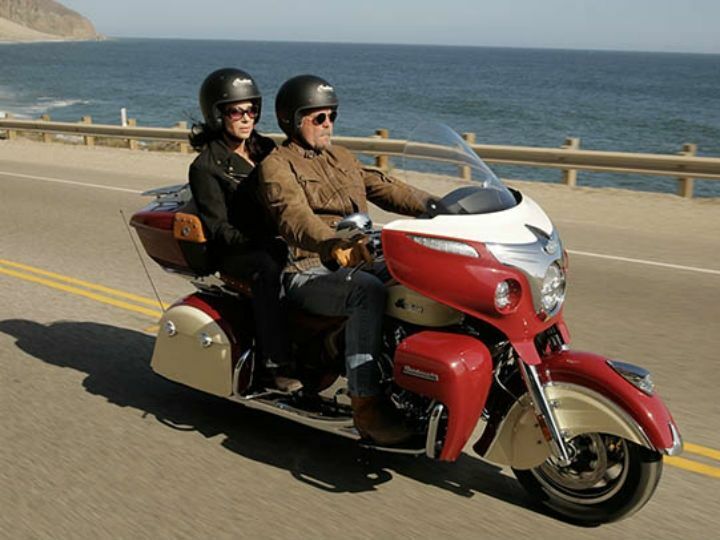 Indian Motorcycles will launch their flagship touring motorcycle, the Roadmaster, at the inauguration of their second showroom in India, at Bangalore, on May 7. Powering the Roadmaster is the 1811cc Thunderstroke 111 V-Twin engine, which makes almost 139Nm of torque at 2600rpm, to haul the over 400kg mass of motorcycle. The engine is the same unit that powers the Chieftain and Chief range of Indian Motorcycles. The 2015 Indian Roadmaster is built upon the iconic Roadmaster name used by Indian Motorcycles in the 1940s, and comes with a host of features like ABS, cruise control, remote locking hard saddle bags, heated rider and passenger seats, heated grips, keyless start and power windshield as standard. The Horizon Power Windshield offers push-button adjustability to customize airflow, provide weather protection and reduce glare. Adjustable floorboards provide passenger riding comfort and leg room comfort. The Roadmaster will be the flagship tourer of Indian Motorcycles and will offer more than 140 litres of weatherproof storage in the convenient saddlebags, roomy trunk, lowers, and fairing including convenient front storage in the lowers that’s easily accessible to the driver while riding. There are a host of custom options on offer too, like a high flow air cleaner, a heel shifter, chrome trunk armrest supports for the passenger and extra trunk and saddlebag storage. The Indian Roadmaster will be launched at a starting price of Rs 37 lakh, making it the most expensive Indian Motorcycle on sale in India.